Today's Law Enforcement spends endless time creating mountains of hand written police reports. Often, the data captured in the paperwork is repeated over several forms for the sake of the reader. Revolution™ police, sheriff and law enforcement RMS and Report Writing software simplifies your reporting pricess by eliminating the duplication of data input. It saves time and money! 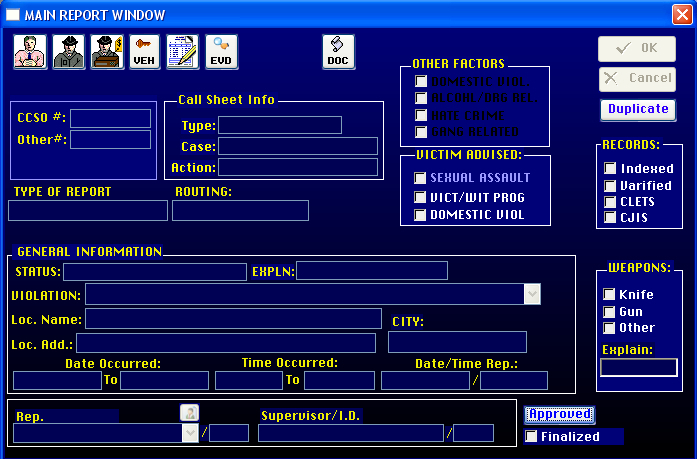 We created each police report window in a graphical user interface using icons, click buttons, pop-up menus, and list fields. Once data is entered in one area of the police report, the data is automatically transferred to other police report forms requesting the same data. In addition, every field requiring a specialized format is automatically completed by the report writing software. For example; "Social Security" fields can be entered as 123456789. 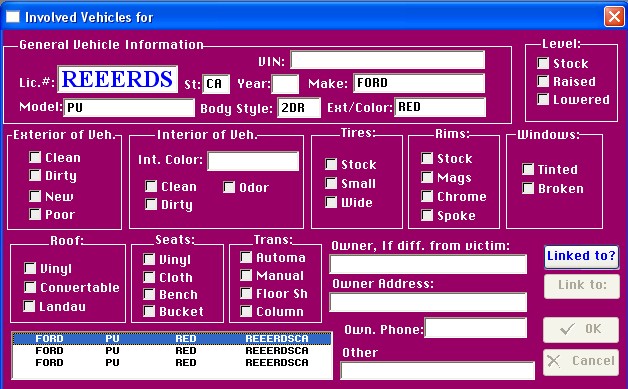 The software will automatically format the field as 123-45-6789. The RMS (Records Management) feature of Revolution uses the data entered into the police reports to quickly and efficiently search and compare all of the persons, vehicles and property data in the entire system. 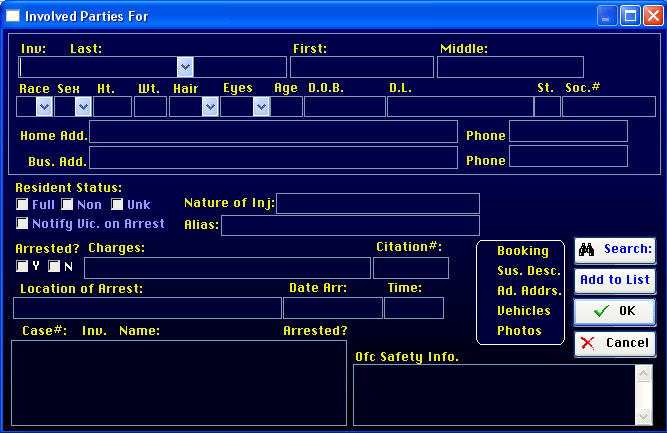 This will allow your officers to conduct their own RMS searches in the field! Drop down and drill down fields help them get to their search terms as quickly as possible. Having Revolution connect to your local, state or federal wants databases, intensifies the investigation that much more. Detectives will look forward to Revolution's ability to locate suspect information with ease. All of this is done int he background, effortlessly by the integrated Records, Management and Report writing software.